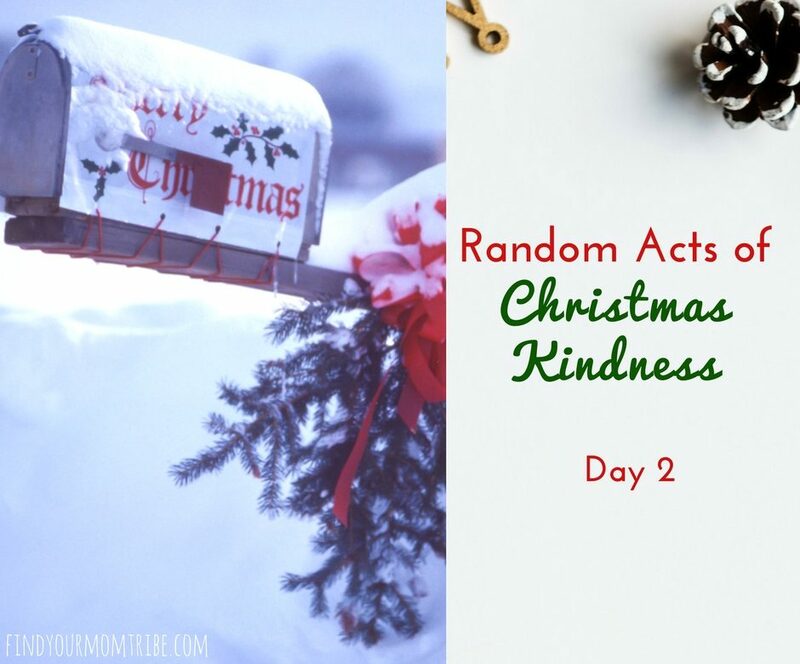 It’s day 2 of our Random Acts of Christmas Kindness Challenge! Today we’re going to make our mail carrier smile! Nearly every day of the year your mail carrier faithfully delivers. Through snow, rain, hot, cold…unless it’s a holiday (or a Sunday!) your mail will arrive without fail. As always, the kids colored their kindness cards. We found these cute red boxes at Party City the week before and thought they would be the perfect fit for our mail gift. We attached the cards to the little red box with some raffia I had on hand and a few small Christmas ornaments. Once our box was done, we took it to the mailbox! So simple and fun! You don’t have to make a fancy box like we did. You can just place your gift in a ziplock bag or small gift bag. Your mail carrier will be appreciative no matter what! 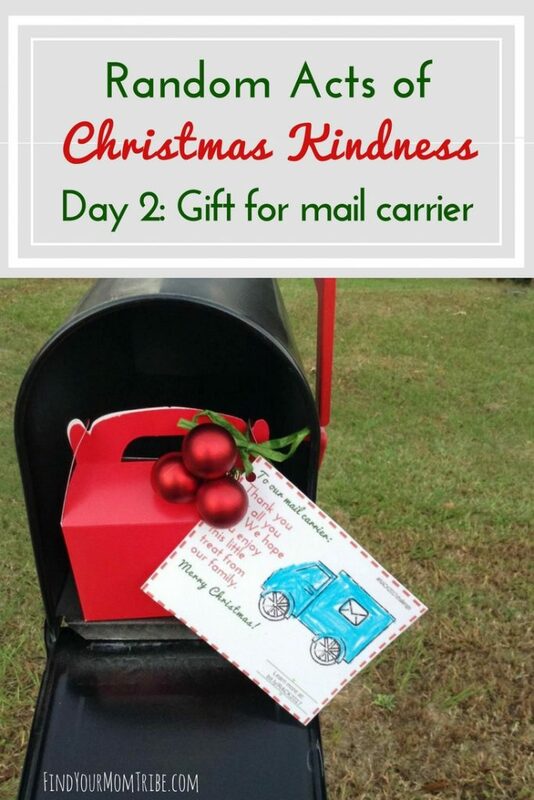 If you live in an apartment complex or don’t have a mailbox, you can take your gift to the post office for one of the postal workers. Expecting a package? You can also leave a gift for your UPS/FedEx delivery person! If you’re participating in this challenge, don’t forget to take pics and post to social media using hashtag #RACK2017challenge !